Nothing says refined more than a bespoke suit. Edward Baumann Clothiers custom made suits are unparalleled in both style and quality of material. Each suit is fabricated with the finest of American craftsmanship, and it shows in every garment we pass on. Whether you’re looking to breathe new life into your wardrobe or starting from scratch, Edward Baumann Clothiers is ready to suit your needs. Edward Baumann customizes shirts that compliment your wardrobe while achieving the perfect fit and comfort. We set ourselves apart through our commitment and passion for style. We pride ourselves for providing the very best in Dallas Custom Shirts. Each shirt is measured for your specifications and handmade in the United States. We provide American tailoring at its very finest. Jeans are an essential building block of any man’s wardrobe. Set yourself apart from the rest and try on a pair of jeans crafted for you and you alone. 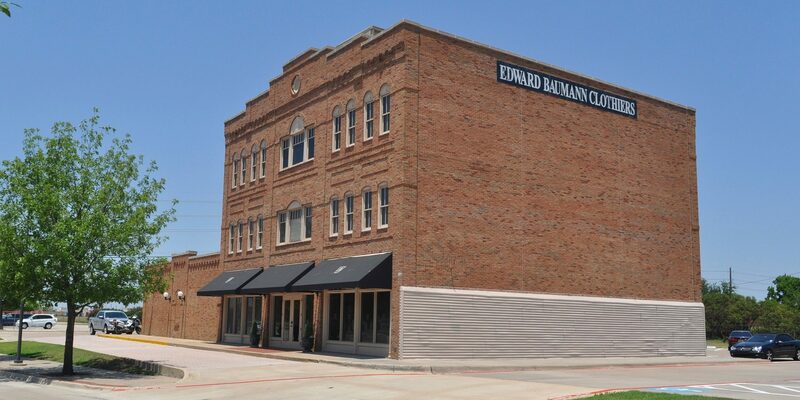 Edward Baumann Clothiers specializes in Dallas custom jeans perfectly tapered to your measurements. Authentic denim with a slight touch of elastic material ensures a form fit for smart casual wear. Cowboy boots stand forever as a staple of western American heritage. Edward Baumann Clothier’s fabricates numerous colors, skins and designs to create your own personal pair. We craft the finest handmade boots available. Our Dallas custom boot making process begins with the selection of the best leathers from around the world to ensure fit, comfort and durability. Our master bootmakers bring over 200 years of combined experience and pride themselves in each of the 100 steps necessary to produce custom boots. The proper shoe spells victory or defeat for the perfect outfit. The basis of any look and style starts with the foundation many take for granted, except for us. Edward Baumann Clothiers ensures you walk out with footwear rich with design and comfort so you’re eager to return for more. Your professional image reflects with every step you take. Put your best foot forward and walk with purpose. Whether you tread into a busy day at the office or a brisk excursion to the local cafe, we match the shoes to meet your unique qualities.